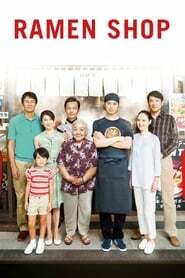 Ramen Shop Melodrama and cooking films have always been an effective tandem. In fact, television programs such as MasterChef, and even Nightmare in the kitchen, are still melodramas that, with their heroes and their prefabricated villains, and their elaborate dramatic developments, are articulated through supportive music that helps raise emotion and the suspense of the whole. However, fashion is reaching extremes perhaps, with sections for culinary Watchman films at festivals as prestigious as Berlin and San Sebastian, where it seems that a good film fits a product with no more values ​​than the exotic food. And one of these cases is the production of Singapore A family recipe, present in both competitions, which arrives in the halls protected by a magnificent distributor, (almost) always risky and interesting, and by an image on its poster and in its style that it immediately makes you think of the family films of Hirokazu Kore-eda. Nothing further. 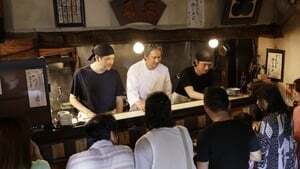 A family recipe (Ramen shop, in its original title) is, in all likelihood, one of the most frightening films that have been released in recent years in Spanish cinemas of the original version. Pedestre in his narration at various times, corny in his search for the affections of blood and the secrets of the past, infamous in its treatment and in its musical and visual quality, Target and enormously basic in its reflection on acceptance and forgiveness, Any Bullet Will Do the guilt and redemption, Eric Khoo’s film was born as a project to celebrate the 50th anniversary of the diplomatic relations between Japan and Singapore, of convulsed past. And maybe at those local levels he should have stayed.